Fireworks Night have released three albums and one E.P. They are currently working on new songs. Left With Pictures are an orchestral pop ensemble from London. Formed in 2005, they started with three hard-up, classically trained musicians who forsook the orchestra pit for the sanctuary of their keyboard player’s loft. Armed with synths, guitars, strings, kazoos, ‘found sounds’ and a shoestring budget, they began with a series of self-releases and impromptu performances in theatres, bars and bedrooms. 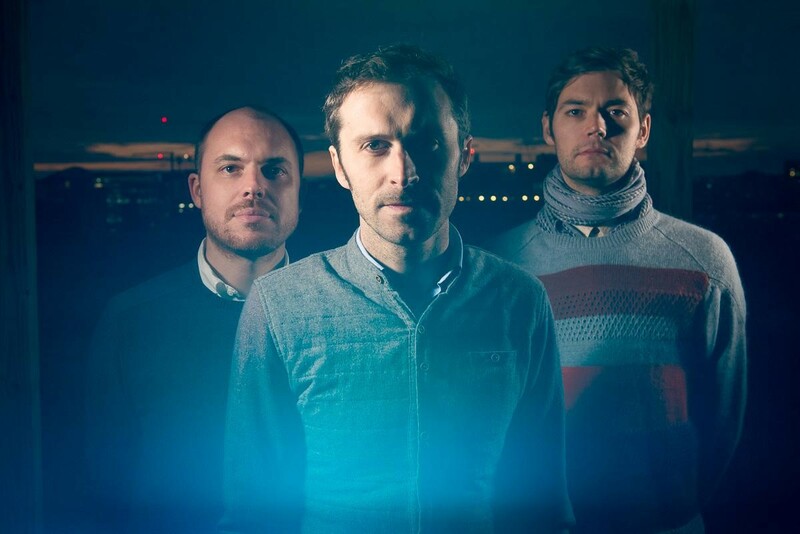 In 2008 LWP signed to Organ Grinder Records – with whom they have released two albums, Beyond Our Means (2009) and 2011’s In Time, an album consisting of 12 songs which were released monthly and premiered by Gideon Coe on BBC 6Music. Over 10 years the band has won critical praise, expanded their live sound, and steadily refined their craft of inventive pop music, where the acoustic and the electronic are intricately combined. Afterlife, The band’s third album is produced by Richard Formby (Wild Beasts, Ghostpoet, Darkstar, Hood), and will be released in Spring 2016 Left With Pictures are Tom Walker, Stuart Barter and Toby Knowles. They are joined live by Alex Gold on percussion and Mike Cranny on bass. Solo electronic project by nick gill. London-based 7-piece instrumental group, playing viola, violin, ‘cello, double bass, guitars, drums, recordings & electronics. The Mules played furious British country punk music, suited to parties and dancing. The band was active for about five years from 2003: we played our first gigs in Oxford, mostly at a club called the Cellar. There we met a friendly soundman called Jimmy Evil, who recorded our first EP ‘Grab Your Musket’ in his upstairs boxroom and bathroom. We moved to London in dribs and drabs, and I found myself living around the corner from the old Pure Groove record shop on Holloway Road. I took ‘Grab Your Musket’ in there, and they liked it enough to release the song ‘Polly-O’ as a 7” single on their Marquis Cha Cha label, just before Christmas 2005. By then Organ Grinder Records had made it possible for us to record an album, which we did with the help of producer Ricky M in a nuclear blast-proof bunker in Jersey. Back in London, we took an old-fashioned approach to getting recognised, by playing every club that would have us, all over the city. People, including journalists, started saying good things about how exciting and unusual the music was: it was a bit of a spectacle of having a singing drummer at the front of the stage, and at the time not that many bands had fiddles and synthesizers – certainly not bands who were playing short/fast/loud songs about ham shanks and internment camps and other paranoid fantasies. Soon we’d played places as far afield as Chatham and Cromer. The album ‘Save your face’ was put out by Organ Grinder in August 2006, and given a wider release by Kartel six months later, accompanied by our first tour around the country. We also played in Paris, which was the first time I’d ever been there – perhaps it’s not all as fun and hospitable as the club La Fleche d’Or, but we didn’t go anywhere else, so I can imagine that it is. After the first tour, Jenny Lau replaced Nico Beedle on fiddle, joining the band just in time for most of our biggest and most fun gigs, like playing for a hair gel manufacturer at Koko – Camden High Street’s plushest and reddest rococo ballroom. Apart from flying visits to festivals, we then managed to spend most of summer 2007 at home, by putting on a residency called ‘Pick Your Own’ at a bar in King’s Cross. The initial six-week run of free Monday nights was successfully extended to ten, and featured all kinds of excellent bands and artists who we knew and liked, many of whom have become terrifically successful. The final August Bank Holiday spectacular saw ten bands playing one after the other, in an increasingly fraught and brilliant atmosphere. A compilation album was spawned, featuring the Mules’ song ‘This is your life’ alongside thirteen other PYO artists. After all that, we did eventually record another album, entitled ‘All of the fun, none of the fair’, but we’d all rather run out of steam, and needed to go off and do other things. Piano player Tim is now the chorus master at Opera North in Leeds; bass player Jim still runs Organ Grinder Records and his own band, Fireworks Night; Jenny often plays piano and fiddle for Emmy the Great; and as well as making films and developing apps, Duncan is playing guitar in my new band, of which I hope you’ll hear more later. I think we’re all quite proud of having a taken such a strange and uncommercial band as far as we did, and we’re grateful to all the people who took the reckless decisions which allowed it. It is not that easy to get London gig-goers to pull their hands out of their pockets and leap around in an unselfconscious display of foolishness, but we did manage it: and so most of all, I hope that people who remember the Mules will remember having a good time.